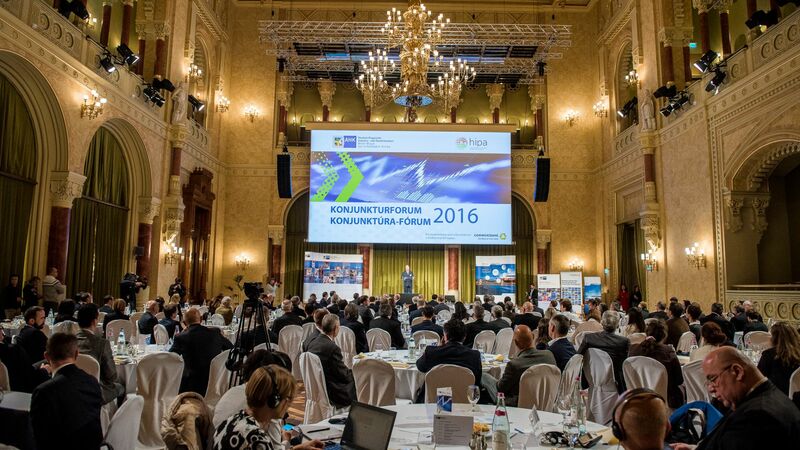 The Prosperity Forum 2016 organised jointly by the German-Hungarian Chamber of Commerce and Industry (DUIHK) and the Hungarian Investment Promotion Agency (HIPA) aimed to discuss future opportunities for development and directions relating to traditionally close and successful cooperation between the two countries. The event was attended by, among others, Péter Szijjártó, Minister for Foreign Affairs and Trade, Dr Volker Treier, Deputy Managing Director of the Association of German Chambers of Commerce and Industry, Dale A. Martin, President of DUIHK, and Róbert Ésik, President of HIPA. 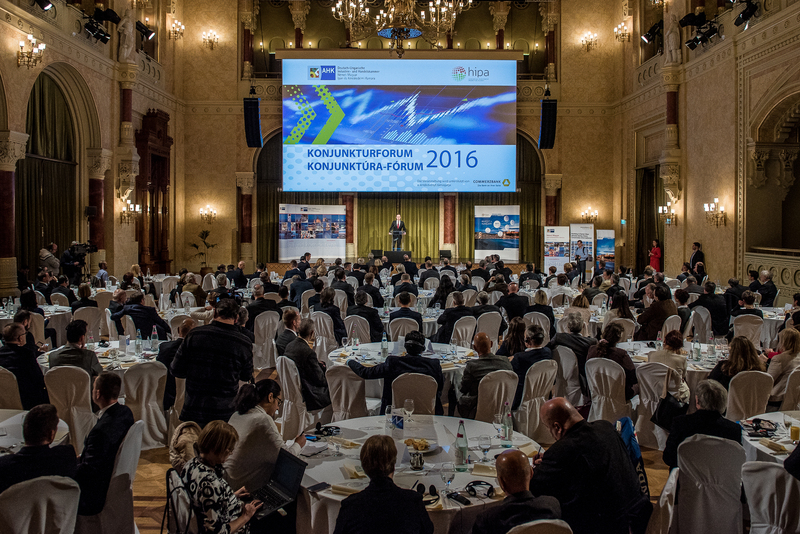 "The Hungarian investment promotion system goes through foundational changes next year" – said Péter Szijjártó, Minister of Foreign Affairs and Trade at the annual forum for German companies present in Hungary organised jointly with HIPA this year. 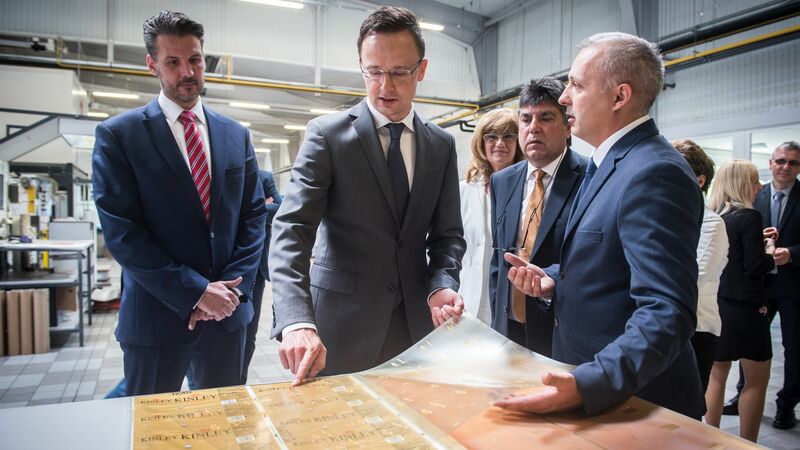 The key economic policy directions are related to increasing the ratio of investments that generate a higher added value, and the promotion of investments by companies applying modern industrial technologies – an area in which Germany is a leader in Hungary. 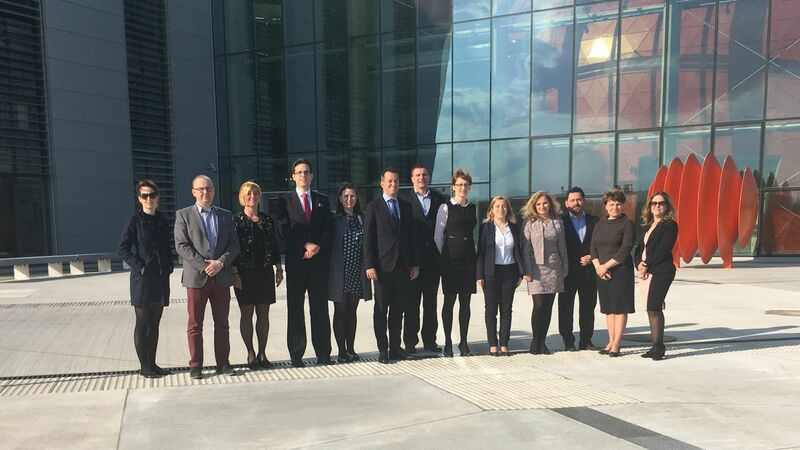 It is similarly important to include small and medium-sized supply companies in the value chain of foreign companies to maximise their role in increasing the share of Hungarian value. In addition, a more diversified economic structure emerging through the strengthening of other sectors will support the country's efforts in improving its competitiveness and increasing economic growth. Economic relations with Germany, however, are not only crucial in terms of quantity, but also in terms of quality, considering the modern technologies and the quality-oriented business culture represented by German companies and adopted in Hungary. Participants of the podium discussion following the presentations were seeking to answer for two main questions: How is it possible to break out of the 2 to 3 % range of GDP growth under the current economic policies and market environment and what is the state's optimal role in industrial policy, labour and wage policies? The participants of the professional roundtable discussion were Péter Ákos Bod, Professor of Corvinus University, former Governor of the Central Bank of Hungary, Dr László Parragh, President of the Hungarian Chamber of Commerce and Industry, Dr Marco Wagner, Chief Economist of Commerzbank, and Róbert Ésik, President of HIPA. In the closing speech of the event, Róbert Ésik, President of HIPA, emphasised that Germany is the most important trading partner of Hungary, more than half of the FDI inflow comes from this relation, and every third new job is created by German companies. He expressed his pleasure with the good cooperation between HIPA and DUIHK, which is well-represented by this great event.